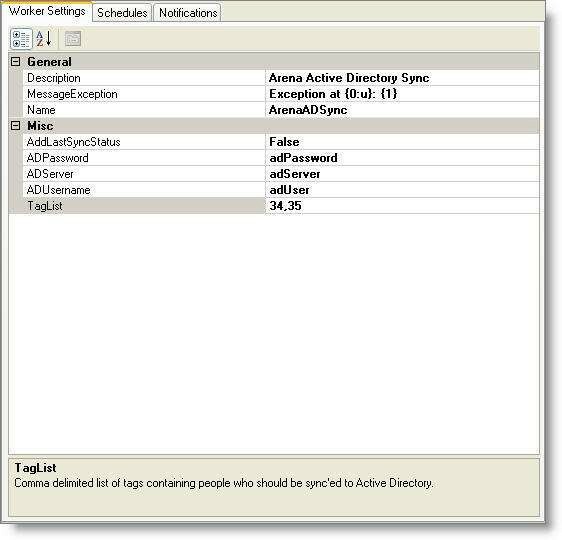 The Worker Settings tab displays the configuration options for the worker currently selected. These configuration options can display either by category or in alphabetical order. A description of each field displays at the bottom of the dialog box. 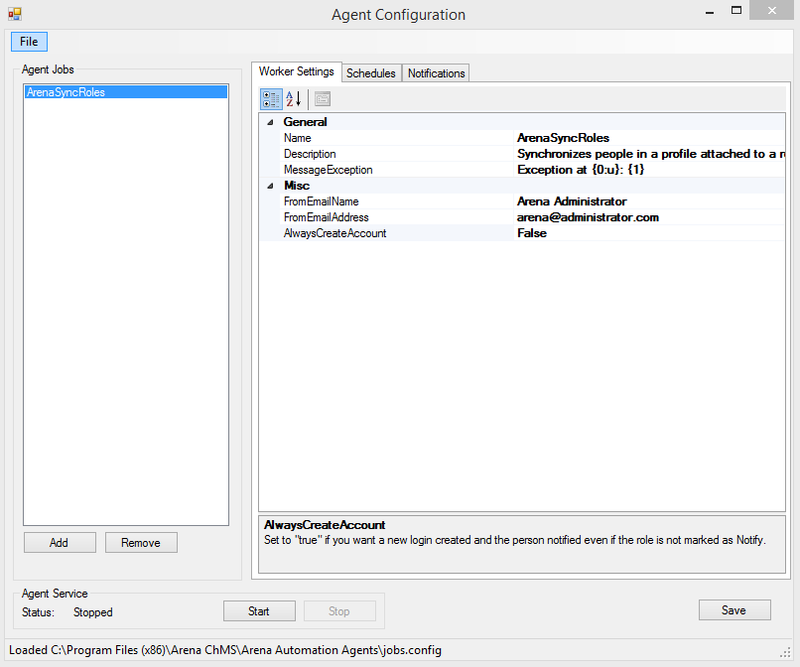 Added a worker setting to the ArenaSyncRole agent configuration. When the setting "AlwaysCreateAccount" is true and the security role is set to not notify and the a record included does not have a login, the agent will create a login for the record and email it to them.